The Otherside Series has a Film Option Agreement! I may be in Paris, but things keep happening in the US while I’m gone! After months and months of negotiation, I’m so excited to announce that The Otherside Series, my young adult science fiction romance series, has a film rights agreement! Lyrical Moon Productions has obtained the film option rights to HERE and THERE!!! They tell me that the screenplay is being worked up and and original music is being written and recorded. 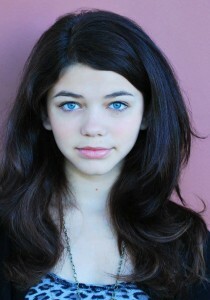 Actress singer/song writer Bryce Hitchcock has been attached to the project for the role of Julia Phillips. Bryce narrated the audiobook for HERE, and the soon to be released THERE. You can find out more about Bryce Hitchcock on her Facebook page and follow her on Twitter @brycehitchcock. I’ll post more details as I get them! Congrats. I think all authors would love to see their novel on screen if it’s done correctly. I hope all goes well. This is fantastic news! Congratulations!!! Can’t wait!!! Very exciting news! CONGRATUALTIONS if anyone deserves this you do. You are a wonderful author and you work so so hard for your art. Congratulations! I’m happy dancing all over the house for you. Congratulations!!! That’s soooo exciting, I’m so happy for you! HUGE fan of all your novels! I really hope someone picks up the Chosen series for a movie! It has such amazing film potential! Congrats on this though! LOVED these books! Maybe I have missed it but can we get an update on this?